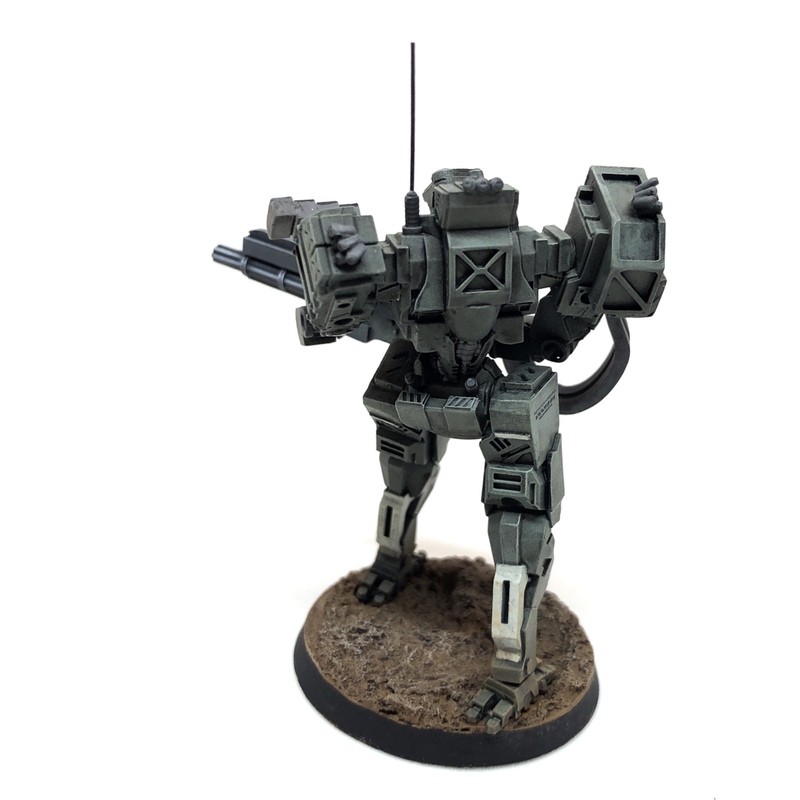 This is my second Proteus Frontline Battle Mech from White Dragon Miniatures. 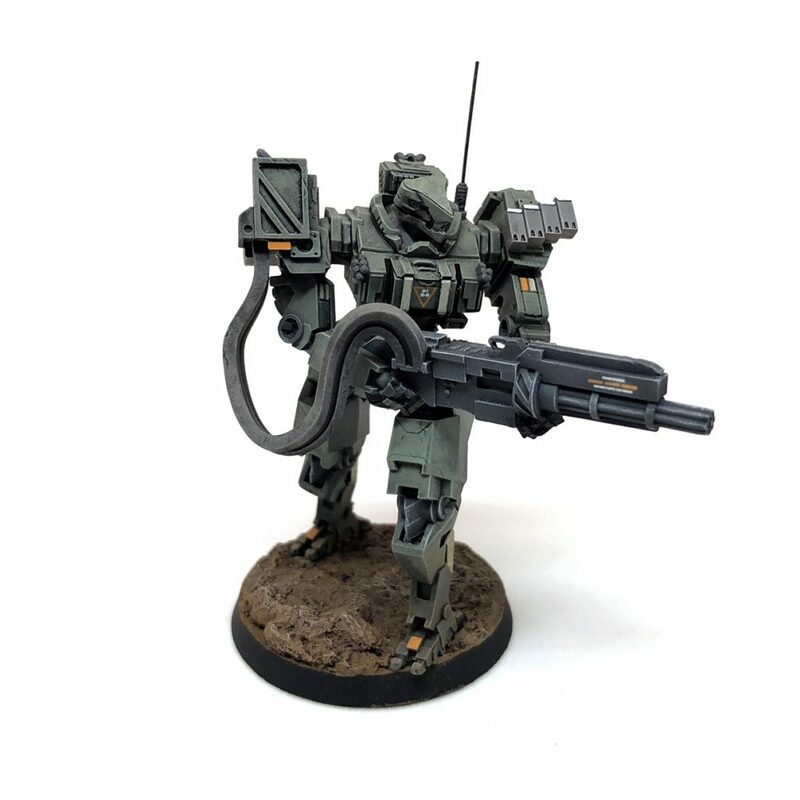 This model is the chaingun variant and has a more active stance than the cannon version. 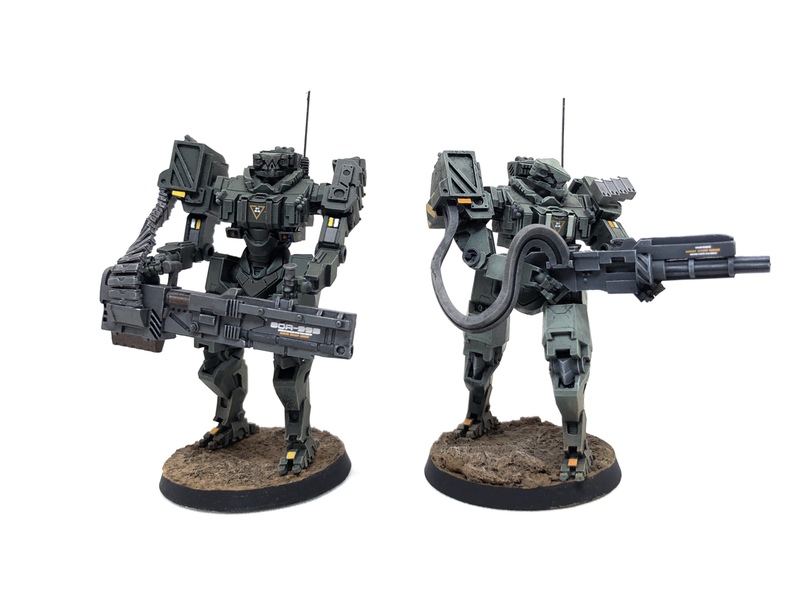 The mech’s torso is rotated to the left with the chaingun clearly being aimed rather than held at rest. As with my last Proteus model, I added a whip antennae instead of the included radar array assembly since I thought the radar diverted attention from the mech’s head, which is a really interesting wedge shape. For some reason, this version seemed to have more prominent print lines from the 3d printing process. They are very small and subtle but noticeable upon close inspection. I suspect I didn’t see these lines on my last Proteus because I used a rattle can of GW Black Primer whereas I airbrushed on Badger Stynylrez Black Primer for a much finer basecoat on this model. I had success with some tips from commenter Ryan, who had left some advice in the comments of another post about getting better results with decals by using a decal softener fluid. 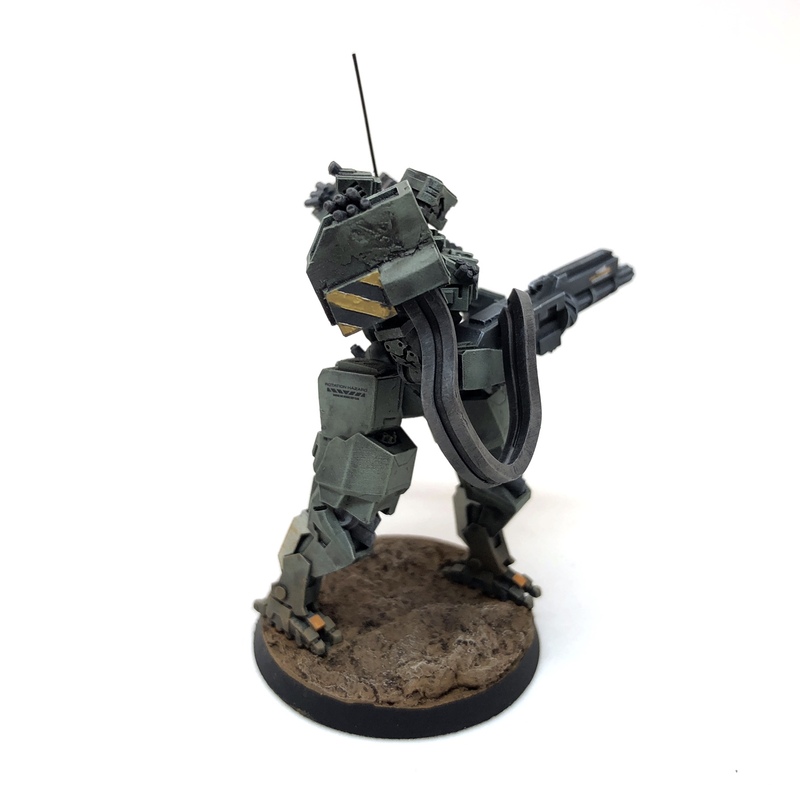 By laying down a gloss varnish, then applying the decal and softener, it was clear that the decal adhered much better to the model. And I didn’t get a telltale white fringe around the edges of the decal material after I applied a coat of Testor’s Dull-Cote. Thanks, Ryan! I did such a crummy job on patching up a flaw on the right shoulder/ammo box that I’m going to model some battle damage with scratched paint and exposed metal edges to cover it up. You can faintly see some of the horizontal print lines on the ammo belt but I don’t think it detracts from the model at all. In fact, I think it adds some nice visual texture. 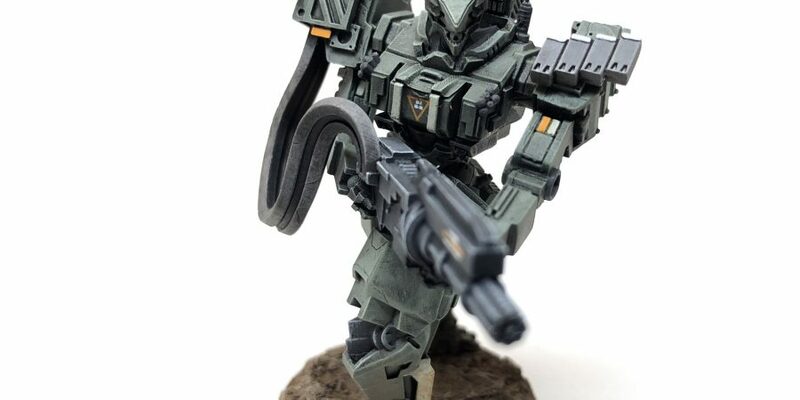 I went for a lighter shade of green on this model, as you can see from the side-by-side image. 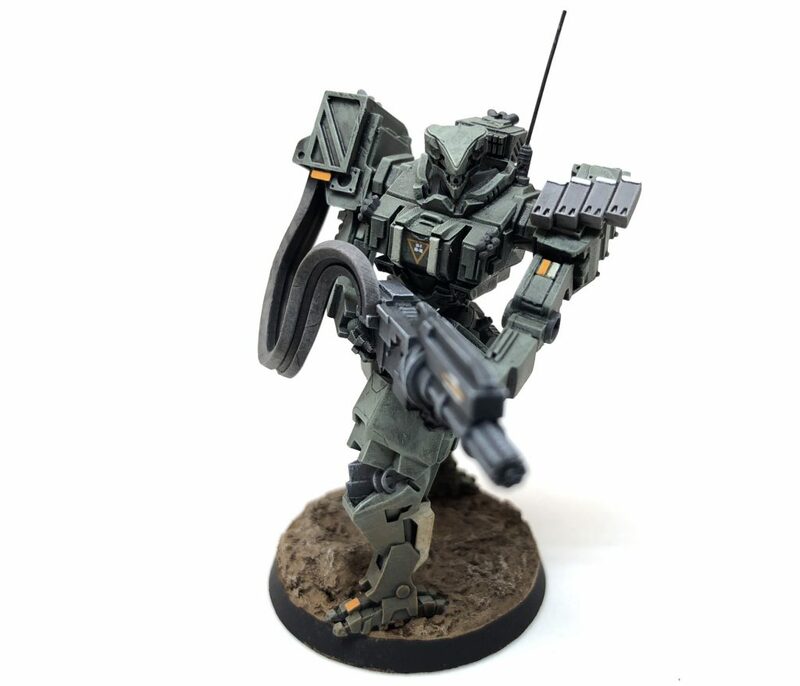 The colors become darker and less saturated lower on the model with the head and upper torso having the lightest shades. Decals look like they came out really nice on this one! Thanks for the tips on the decals, Ryan! Definitely made a positive difference to lay down decals on a gloss coat, then seal it all up with a matte spray.